Who Am I? What My DNA Revealed | Kam-Au Amen & Co. The last couple of days have been remarkable. They have been a roller coaster of self discovery, and if you know me, then you know I love me a good roller coaster. 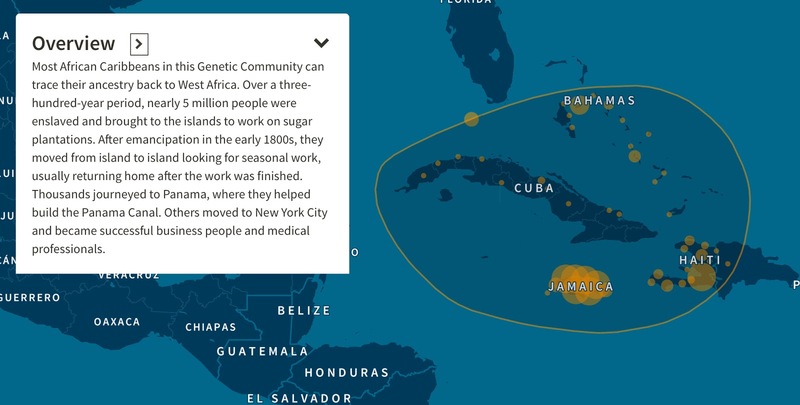 It all culminated yesterday in the revealing of my ancestry DNA test that I ordered through Ancestry DNA. It was a pleasant surprise because I was not expecting the results for a few more weeks since they tell you to give them six to eight weeks for the testing. I only sent my sample off on September 24, 2017 and by October 10 my results were available, that’s a few days short of two and a half weeks. Kudos to them for the quick turn around! While testers like me wait for our results the company encouraged us to get busy trying to build our family tree so that we will be in a better position to make family connections once the results are revealed. I got busy. Thanks to WhatsApp and our family group chat I questioned my family members daily about our family, I’m sure to the point of annoyance in some instances, but I can’t say that I’m unhappy with the results. For one, some of my relatives had to dig deep to remember names and dates they had long forgot from more than fifty years past. Of course, the African tradition of day names presented its own challenges, because very few of our ancestors back then were ever called by their given names - Ba Ben, Mass Son, Anti, and Tun, are not names that appear on any official records, but these are the names that abound inside the communities. Needless to say, we have discovered new connections, and new stories, of siblings who might have died shortly after birth, relatives who are from other countries and the list goes on. My objective remains to trace back as far I can my ancestry within the island of Jamaica, and hopefully, as Alex Haley did with his own journey, trace my own roots back into the African continent. So far I have done well, if I should praise my own efforts over the last few weeks. 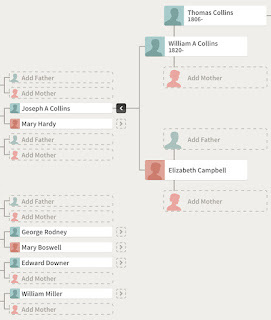 In my father’s line I have traced my roots to a Thomas Collins, born 1806 in Westmoreland, Jamaica. He would be my 4th great-grandfather. In my mother’s line the earliest birth year known is 1843. Both George Rodney and his wife Mary Boswell were born that year, in or around the area of Williamsfield or Springfield in St. James, Jamaica. They would be my 2nd great-grandfather and grandmother respectively. Edward Downer and William Miller would also be contemporaries of Rodney and Boswell, but their birth years are not known. I hope to find out more about who these people were in the coming months. I am because they were. These are all people who either lived in enslavement or were one generation away from it. I find it remarkable. It’s been incredibly revealing to me how deep my family’s roots are in western Jamaica. My relatives have been showing up in St. James, Hanover, Westmoreland, and on occasion St. Elizabeth. 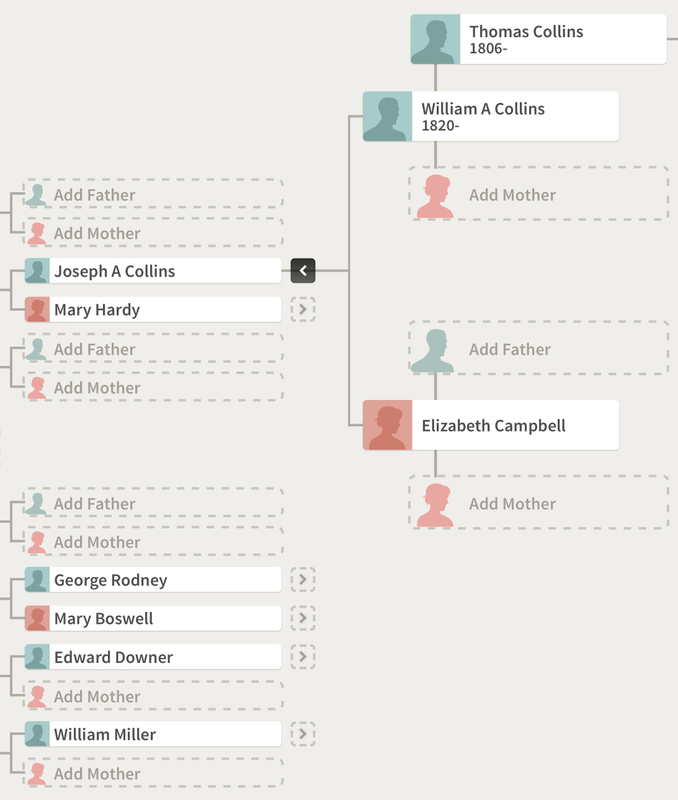 Family names such as Anglin, Downer, and Griffiths were always familiar to me, but now I’ve discovered that through my dad I’m cousins with the very large Collins clan, and the Virgos. While through my mom I’ve learned more about my cousins the Rodneys and the Millers. What stands out to me, and it also poses a challenge, is that the majority of these persons with full-blown English names are of African descent; I find this so egregious, perhaps because I also reject the religious premise. So in searches online, their birth, death and travel records are mixed in with records from England and America because of these English names. It therefore becomes more difficult to parse as I research. But how this situation came to be is also part of the story, and it remains a driving interest of mine to find out specifically how each of my early ancestors got their names. It means finding out, if the records permit, what ships might they have been taken on to get to Jamaica, where were they bought/sold, to which slave owner they each belonged, where did they toil under duress, and if any escaped, how did they do it? I’m not sure I’ll find too many answers, but it will be my life long quest here on in to try. I think the rest of my family deserves to know. The revelation of the DNA results yesterday was therefore very welcome news as I continue my search. That I was predominantly African was never in doubt in my own mind, but the confirmation that my DNA shows confidently that I’m 88% African is a big boost to me and my politics. The remaining percentages being 11% European and less than 1% Middle Eastern. The results show that my African ancestors are primarily from ethnic groups found in Benin, Togo and Nigeria as well as some found in Mali. This is incredible stuff! As someone whose first degree was in African and African diaspora studies this is the stuff of dreams. It sets me in a more pointed direction as my quest for self discovery and the improvement of the lives of African peoples globally continues. I embrace it fully. As we say in Jamaica, walk good! Brilliant stuff KA. I remember when you started this journey years ago so I'm delighted you have made this much progress in discovery.